1. 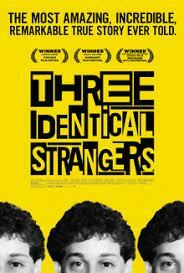 "Three Identical Strangers', which will premier on CNN January 27, is an award-winning documentary from director Tim Wardle that explores questions of parenting, nature vs. nurture and medical ethics, as told through the incredible story of three men separated at birth. 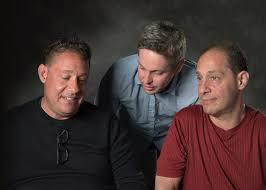 Released by CNN Films and NEON, the documentary (which won the award for best story telling at the 2018 Sundance Film Festival in January) details the tragedy the brothers suffered before learning about a sinister psychological experiment that purposefully separated them at 6 months old so doctors and researchers could study the effects of nature vs. nurture – how much of a person's personality is shaped by heredity or environment. Have you seen this documentary or heard about this case? 2. Born to a teenage mother in 1961 at a Long Island hospital, the babies (they were born rare identical quadruplets but one baby died in childbirth) were placed in three different homes with parents from different socioeconomic backgrounds by the now-defunct Louise Wise Services in Manhattan. The triplets – and a still unknown number of identical siblings – were split apart by design after the late Dr. Viola Bernard, a psychiatrist and consultant to the adoption agency, who believed it was in the children's best interest to live in different homes so they wouldn't have to compete for their adoptive parents' attention. The children were closely monitored by a team of psychologists visiting each of them, taking copious notes, giving them psychological tests and even filming them doing everything from riding bikes to jumping on their pogo sticks. They observed that all three boys suffered emotional, ans physiological problems, that were strikingly similar, which brings up the reason for this trauma. What do you think? This could stem back from the biological parents of these boys, where they could have had an inherited mental illness, etc. 3. When Robert Shafran arrived at college for his first day everyone seemed to know him. Young men he didn't know slapped him on the back and girls kissed him. His new roommate Michael Domitz stared at him and asked if he was adopted and if his birthday was July 12. It was. It turned out Michael's previous room mate, who had transferred to another college, was the spitting image of Robert. He had "the same grin, the same hair, the same expressions — it was his double," Michael added. The two men called the new arrival's doppleganger, a student named Eddy Galland, and eventually discovered that the two young men were actually twins; though the men themselves had no idea. Eddy and Robert found they talked and laughed the same way, had identical birthmarks and genius level IQ scores of 148. They were both amateur wrestlers, liked the same films and could quote the same lines from them. The pair had even lost their virginity at the same time. When the story was covered by a local newspaper another young man was identified - David Kellman. They were, in fact, triplets. 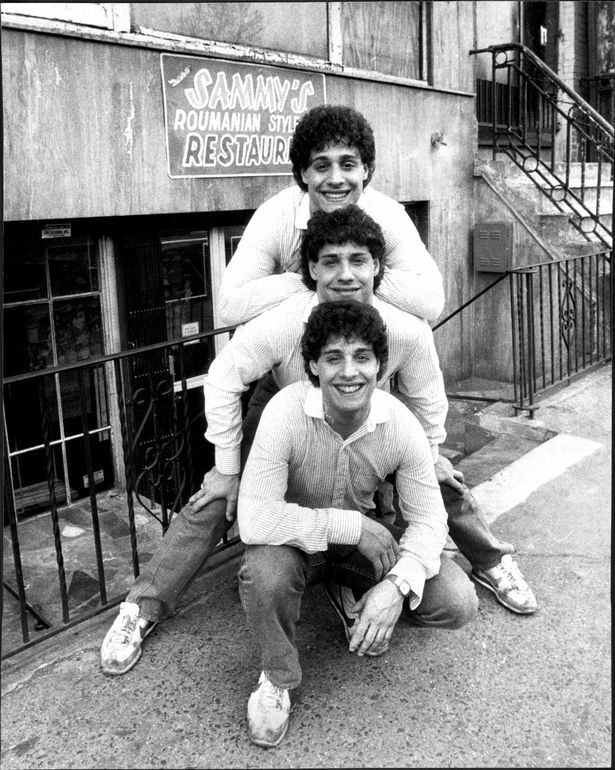 But what began with a happy reunion soon turned to something much darker and is now the subject of "Three Identical Strangers". The reason all this came out, was because of the strangest coincidence -- the two meeting in college. Have you ever discovered something simply because of very strange circumstances or coincidences?